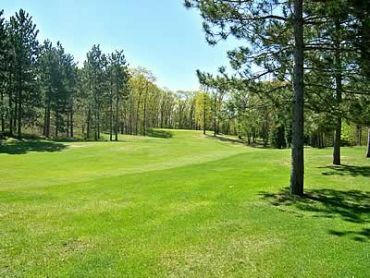 The Red Course at Woodland Ridge Golf Course is a 9-hole regulation length golf course in Crivitz, Wisconsin. This short layout will reward good shots and provide a fun golf outing for everyone. There are 2 other courses on this same property, the Blue Course, and the White Course. Online tee times may be available at Woodland Ridge Golf Course or at nearby golf courses, usually offered at a discount from the normal rate. Note: The information in our database is usually valid, however, in some cases there may be errors. If you come upon any mistakes, please inform us immediately. Beneath this text, aerial imagery should load of Woodland Ridge Golf Course at W8691 Smith Creek Rd, Crivitz, WI 54114. If you can't find the course, try panning around and looking at the surrounding area.